PVC is a favorite material of car designers. This polymer offers a unique combination of properties which make it applicable for exterior and interior automotive parts. The plastic possesses a light weight, durability, easy shaping and attractive appearance. PVC also has good heat and UV stability, good mechanical damage protection, and is chemical and weather resistant. 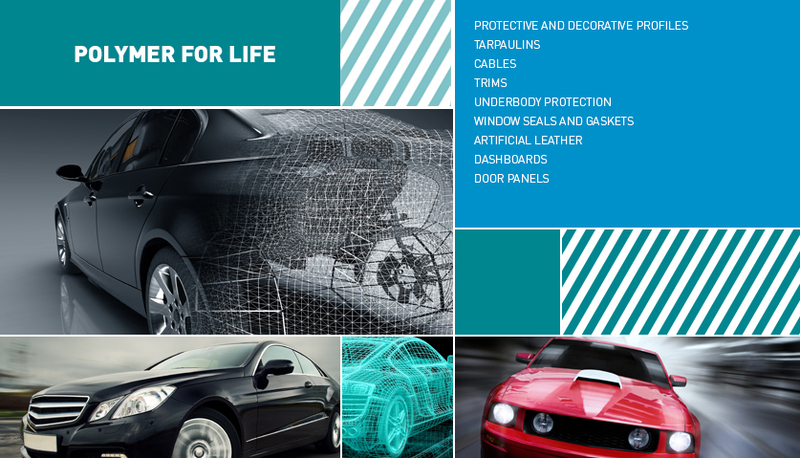 PVC is an obvious choice also when it comes to interior automotive parts. PVC artificial leather is used on dashboards, door panels, gear covers, car seats and sun visors. Another interior application is sound insulation and carpet backing, also made from PVC paste resin.